Hosting a conference: Save Spend Invest – The Conference was held in Reading on March 3rd, 2018 and we still have testimonials coming in saying how helpful it was in shaping the rest of the year. We had a seminar and workshop which featured talks on getting out of debt, getting started with investing and building your investment portfolio. Check out this blog post about it. Launching my first book: The ABCs of Personal Finance was an idea I had towards the end of last year, fuelled by all your questions, suggestions and a passion for helping people take their first step in personal finance. A small girl with a big God and 6 months after, a book was launched! Officially launched online on May 16th, 2018 and a book launch party on June 2nd, 2018 in London. Book sales of over 250 copies from people all of the world have left me feeling so overwhelmed. Goes to show you how no idea is ‘stupid’ or ‘impossible’. All it takes is hard work and trusting God. Grab a copy here if you haven’t already! If you have read the book, please leave a review on Amazon! Co-hosting another conference: After SSI The Conference, I teamed up with one of my speakers, Freddie Odukomaiya and we decided to have another conference. Right in the middle of summer in Central London, on July 28th, 2018, nearly 50 of you turned up to what was an amazing and highly informative conference. We talked more about investing, monetising your skills and the psychology of money. Check out highlights on our Instagram here. Other things I got up to were several speaking events, which I have thoroughly enjoyed so much and have decided I would like to do some more of in future. I have been a keynote speaker at a two business conferences by GYM London, being part of a panel at Vanguard Money Matters forum hosted by Women in The City Afro-Carribean Network, sat on the panel for Royal Bank of Scotland’s Personal Finance Event hosted by Young MCA to name a few. University [book] tours: It has been my dream to take SSI to universities and I aim to do that through workshops in societies, as a start. First up, I’ve got my first stop at the University of Birmingham where I would be hosting a workshop mid October. Next up, Nottingham University and we’ll see how it goes from there… If you’d like me to come and host a workshop at your university, please get in touch with me using the Contact tab. A podcast: I’m trying something different here and have decided to take Save Spend Invest into audio! This is an informal chit chat podcast about money and how to get smarter with it. I’ll be sitting down with a few people to talk about how to be financially successful in uni, at work or in business. Listen on all your favourite channels – just search ‘Save Spend Invest’. Please subscribe, and share with all your friends you think might enjoy it! 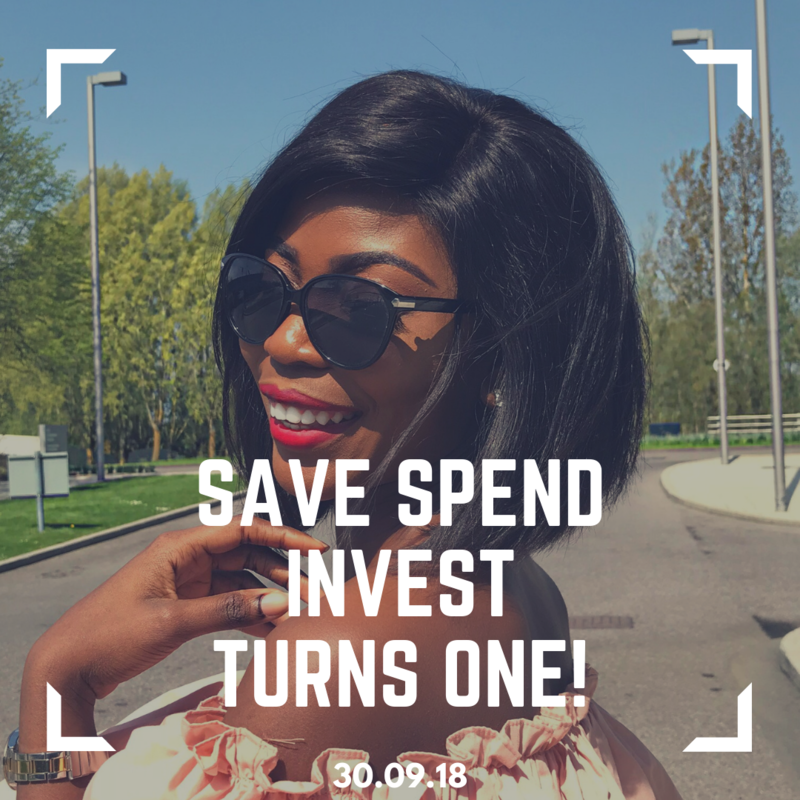 Also send your suggestions and questions to us @savespendinvest on Twitter and Instagram. Here it is on Apple podcasts. Enjoy! Other things to come include more videos (follow me on Instagram so you don’t miss it) , useful free toolkits & a product that helps you manage and track all your financial goals. I look forward to this new season with you. Great stuff ✌ Like to follow you on social sites ?